Born in 1960 in the village of Thorayaya in Kurunegala, Abdul Careem Agar Mohamed completed his Licentiate Certificate Examination in Islamic Studies & Arabic Language with a first class pass at Jamiah Naleemiah, Beruwala, Sri Lanka in 1983. Subsequently he was absorbed to the academic staff of his alma mater as a lecturer. In 1984, Sheikh Agar passed out from the University of Peradeniya with a Second Class (Upper Division), honours degree in Arts. While rendering his service to the Department of Arabic Language & Islamic Civilization, University of Peradeniya as a Visiting Lecturer in early 90’s, he also held the Senior Lecturer and The Dean of Academic Affairs positions at Jamiah Naleemiah. Currently he is the Deputy Director of Jamiah Naleemiah. 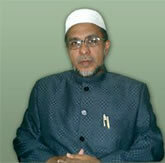 Sheikh Agar Mohamed holds various positions in several Islamic institutions. While being the Vice President of All Ceylon Jamiyyathul Ulama, the highest assembly of Sri Lankan Islamic scholars, sheikh also provides his advice and immense support to many of its subdivisions. In many Arabic Colleges and social service organizations around the country, sheikh’s advice is sought. He is also a member of The Islamic Syllabus Drafting Committee of The Teachers Training College. Sheikh Agar Mohamed has published many valuable books. “The Traditions of the Prophet”, “Expositions of Islamic Law”, “Zakath, Theory and Practice” and “Education, Learning and Teaching an Islamic Perspective” are some of them. His articles have won the hearts of the readers of journals and magazines. He voices the “Islamic Practice”, a weekly lecture series, broadcast on The Muslim Service of Sri Lanka Broadcasting Corporation and conducts a fortnight programme, “Baithul Hikma”, which is televised on the national television channel, Sri Lanka Rupavahini Corporation. Sheikh Agar Mohamed conducts lectures in universities and other educational institutes locally and overseas.